← Popcorn, Cookies, and Increased Rewards–Oh My! 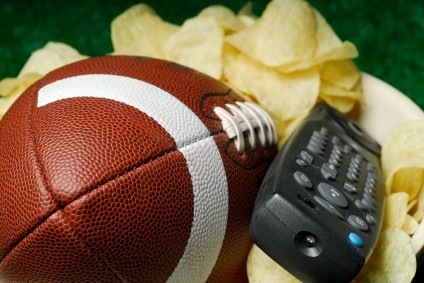 Are you thinking about having a Superbowl party at your house this year? No matter what team you’re rooting for, let our merchants help you find everything you need so you can have an awesome party AND earn rewards back on every purchase! Even if your favorite team didn’t make it to the Superbowl this year, show your team pride with this awesome party kit from Target, including dinner plate, napkins, cups, and even 12 latex balloons. Add more personality to your party with this inflatable goal post cooler, which can hold up to 60 12-oz cans! It’s fun, useful, and best of all, it’s perfect in the warmer weather for outdoor grilling and barbecues. Don’t leave your pet out of the fun! They can show their team pride too, with these authentic NFL team jerseys, made of breathable micromesh fabric, so your pet will be cool, comfortable, and ready to cheer your team on right at your side. No matter what the outcome of the Superbowl is, our merchants will ensure you’ll have a great time, and help out your school and family, to boot!